Bitcoin is a cryptocurrency and digital peer-to-peer payment system that allows anyone to send and receive money from anywhere in the world. It was developed by a programmer with the pseudonym Satoshi Yakamoto and was released to the public in 2009 as an open source software called the blockchain. The blockchain software runs on mining computers throughout the world that solve and verify bitcoin transactions. So, bitcoin allows you to easily and inexpensively send money instantly from anywhere in the world to anywhere else in the world, in minutes. It was a novel idea at it’s time and one that might just change the face of humanity as we know it. Once you have your personal bitcoin banking system setup on your computer or smart phone, there are no approvals needed from a traditional bank or money sending services to send any amount of money. When I send a wire transfer through my Bank of America account, it costs $25 and takes 1-2 days for the funds to be transferred and received. Bitcoin is the better solution! 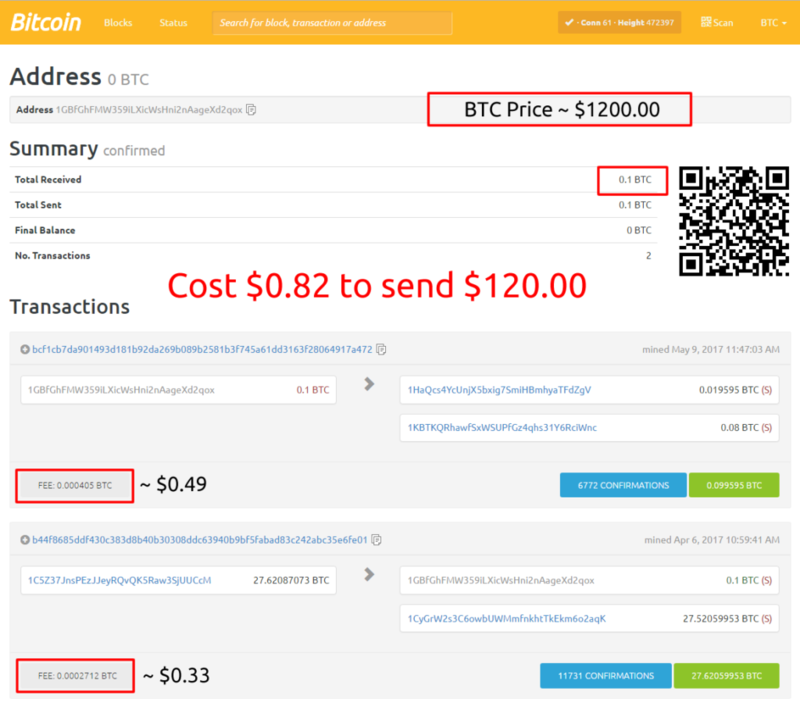 Here is an example of a smaller bitcoin transaction and resulting prices, fees and addresses. Bitcoin info for sending a larger transaction including price and fee. Above you’ll see bitcoin transactions that have gone through the blockchain. Only the files that are shared create the coins through a system called mining. The blockchain is what provides the system with proof of transactions. 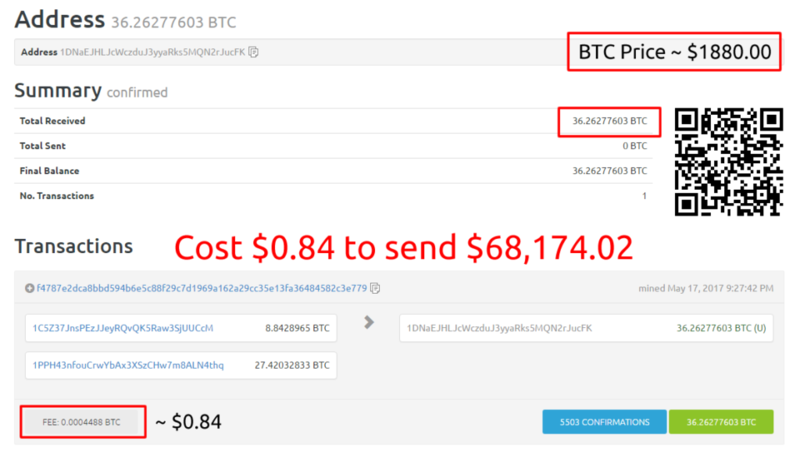 So, when I send bitcoin from the hardware wallet on my computer to someone else’s computer across the country or someone on the other side of the world, they receive their money within hours at minimal fees. The time and cost of a transaction can be customized so slow transaction costs less and faster transactions cost more. You can choose. Not sure how this all works? Read a detailed explanation of how to track activity of a bitcoin address. The blockchain is a powerful cryptocurrency transaction proof and verification system with top level security and encryption features built in. When a bitcoin transaction is made there are resulting ‘Input’ and ‘Output’ addresses that send and receive the bitcoin. These transaction are made on the blockchain by miners who run the verification software on high end computers and solve blocks in order to receive a reward or fee, paid to them in bitcoin. A bitcoin is made up of two sets of numbers, one being the public key and the other being the private key. Keys are also called addresses. They are made up of a string of characters, so long no one could remember. Whoever holds the private key is the one who can claim ownership of the bitcoins associated with the public key. Nobody can steal your bitcoins by knowing just the public address, they must also have the private address. When a user sends bitcoin from their wallet to a pay somebody, the public key is authorized by your wallet to assure it matches up with the private key and your bitcoins are then sent through the blockchain. The blockchain software then verifies those keys by comparing transactions made throughout the mining system. Miners are people who run a software program on their computer, much like people who participate in file sharing services where you seed a file so others can download it. Traditional methods of digital banking and record keeping rely on trust, where you trust the bank is doing right with your money. Bitcoin relies on proof. The blockchain proves bitcoins have been mined and bitcoins have been spent. Traditional banking is also expensive compared to sending bitcoin. Where my bank would charge $25 for a next day wire transfer, with bitcoin you can send it within hours, sometimes minutes, for a few dollars. Transaction times are greater and fees are less also when you’re using a software wallet like Electrum paired with a hardware wallet like the Ledger Nano S or Trezor on your personal computer. Same with mobile wallets like Mycellium, although we’re so prone to set phones down, where potentially all your bitcoins could be stolen if you’re phone were ever stolen. That’s why I like to keep any bitcoin I’m plan to keep as an investment on a computer off the internet in cold storage, protected in a fire safe. That way there’s no chance of anyone being able to get your bitcoins. Soon with the increase of computer and smart phone processing power will cut those speeds and prices dramatically. It’s bad news for traditional banks, but good news for those who prefer freedom in their financial affairs. It also allows you to become your own bank. Bitcoins are created on computers buy people called miners, that run a software program that uses the computer’s processing power to digitally create a bitcoin. The more bitcoin that are made the harder it is to mine another one. There is a cap of $21,000,000 bitcoins to ever be made. When someone pays for something with bitcoin or buys bitcoin from an exchange, it sets those mining computers in motion to create and spend the coins, leaving a public ledger and proof of the transaction. Many people are worried that with the increased difficulty to mine as more are made and more are used will start to take more and more time and thus not be a viable solution for retail sales transactions. But with the changing in retail buying habits moving online and the increased speed of technology, at some point I believe everybody will be able to mine their own bitcoins on their own device / smart phone in seconds to process the transactions they are making. The main difference though, the bitcoins that run through the blockchain are files that signify money to the person who holds those private keys. which functions very similar to file sharing software. Bitcoin guide to buy, sell and trade bitcoins. Learn about bitcoin, cryptocurrency, alt coins and more. Here are some great tools to learn bitcoin. Sell bitcoin for USD and deposit it instantly in your bank account. Trade bitcoin for other cryptocurrencies, alt coins, stocks, bonds, etc. How To Buy Bitcoins – Still not sure how to buy bitcoin instantly? See this guide. Spend Your Bitcoins – See the list of best places to spend your bitcoins. 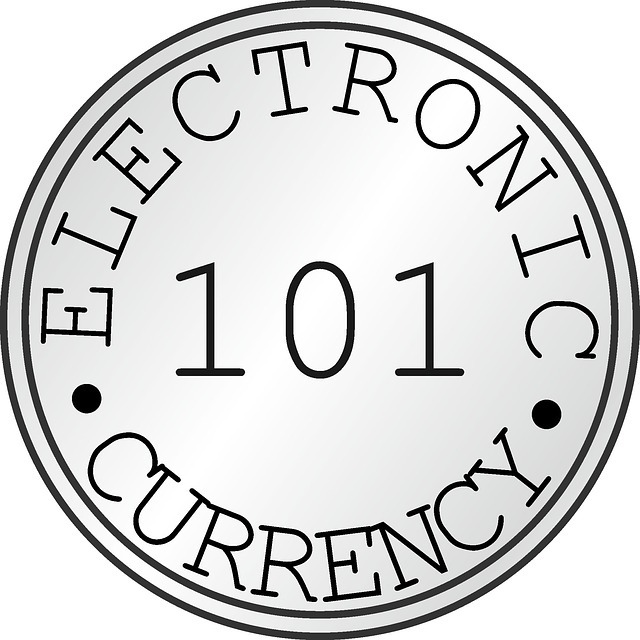 Alt Coins 101 – Learn about other cryptocurrency that is built off the same blockchain technology as btc.